Recently turning twenty-three, no longer can I be comforted by Taylor Swift's 22 to lift the spirits of the reality that I'm no longer a carefree teen and adulthood is nigh. I feel like each year, gifts become perhaps more scarce but importantly more meaningful and this year definitely proved that notion (after years of my mum telling me that less is more, I think I finally get it now). This year, everything I received was absolutely beautiful and so me. Some of these were things I picked up using the vouchers I received from the likes of Topshop, Boots etc. (always a winning gift); mostly things I've been coveting for a while now..
My amazing friends suprised me with this the day after my birthday at dinner and I could not be more in love with it. Illuminators/highlighters are the my favourite kind of make-up to have/put on as they can just lift your complexion and create a radiant glow with barely anything. Now that a Charlotte Tilbury counter has opened in my local John Lewis, it is really going to test my will-power in not buying the whole range. I have been going on about The White Company's cashmere socks for months now after seeing them at the till in-store and falling in love. They're ridiculously soft, beautifully packaged and just so dreamy to put on after a day on your feet. Two of my lovely friends got me a pair of these (probably sick to death of me rambling about them day-in-day-out) and I am SO grateful. I've literally been lusting after this necklace ever since the Lucy Williams x Missoma collection launched and now ever other instagram picture on my feed features one of the pieces, the temptation has been stronger than ever. Since the morning of my birthday, I have barely taken it off as it's so easy to layer and goes with everything. 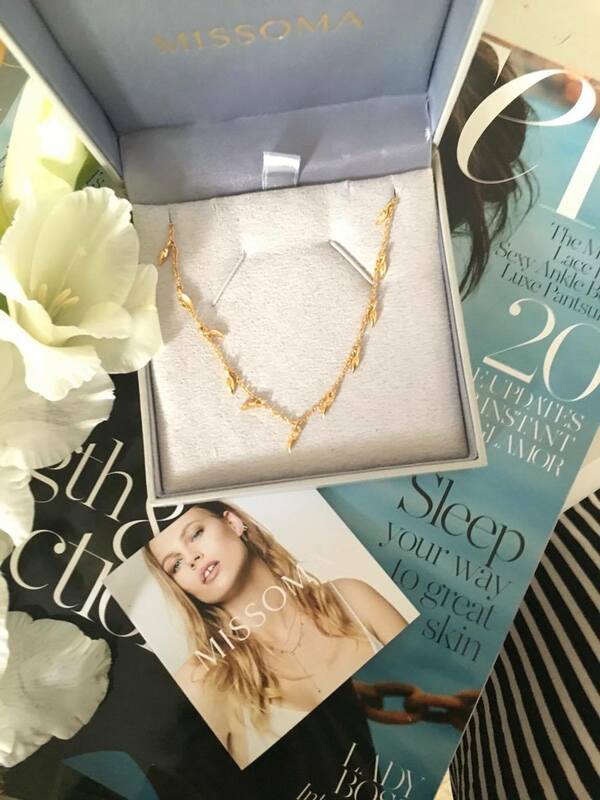 An amazing present for anyone that loves jewellery. I'm not sure if this really counts as a present as such but as a Liberty Loyalty member, Liberty send a £5 voucher every birthday to entice you into their beautiful, extremely hard-to-resist emporium. 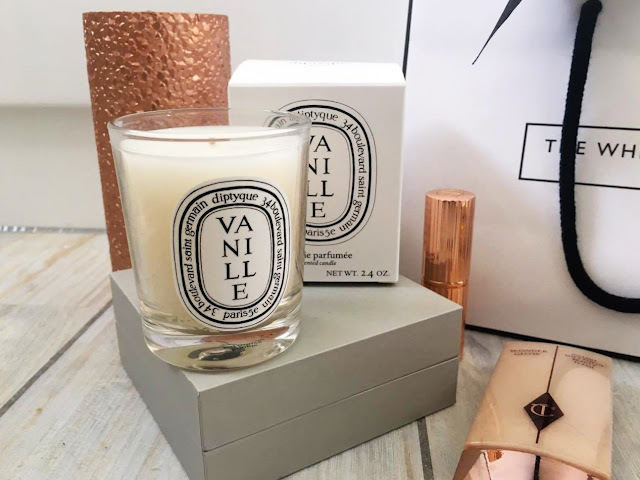 What better to spend it on than a small but beautifully formed candle from Diptyque; one of my favourite brands (and now they have launched skincare I'm dooomed). 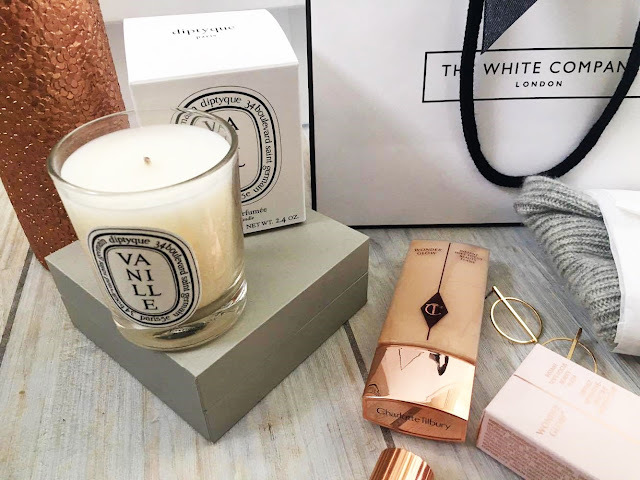 Their simplistic yet sophisticated Parisienne branding just gets me and I can't get enough of their scents. Vanille is a scent I was yet to try but I'm already a convert to this soft, subtle fragrance. It doesn't even need to be lit to smell amazing. 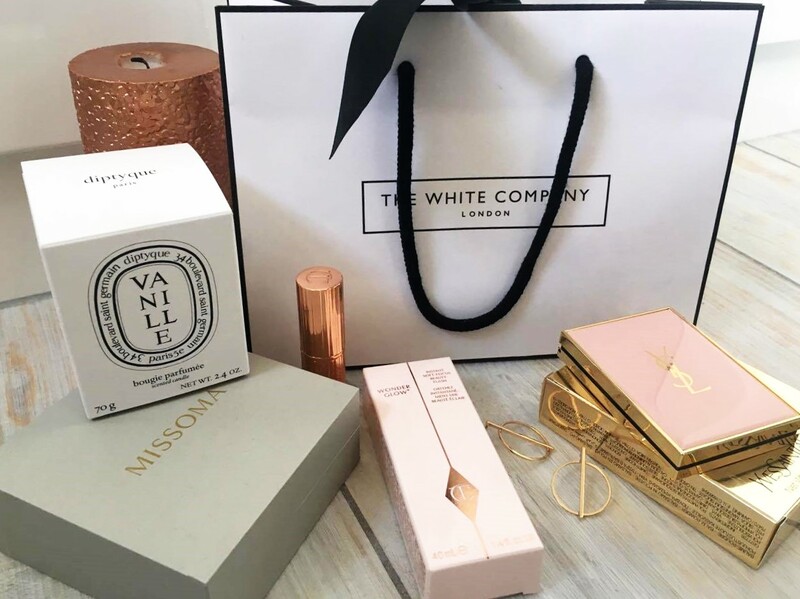 I often forget that Boots stock the likes of YSL and Chanel, so what better way to spend a voucher for the shop than on a piece of designer make-up. 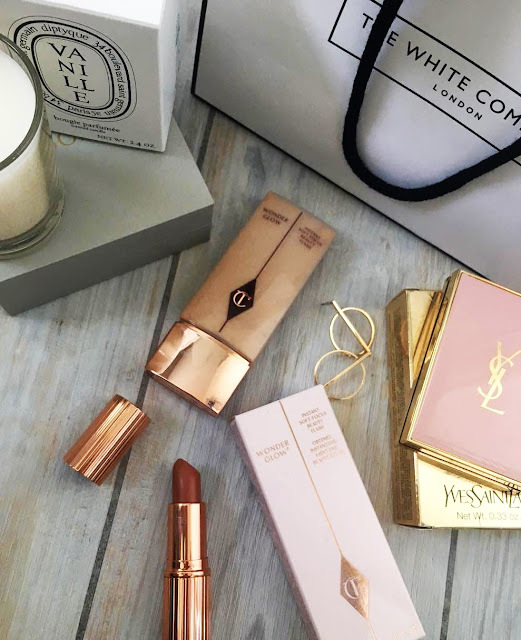 This is something I'd never buy unless it was a special occasion as let's face it YSL make-up (and everything they sell) are on the higher end of my price range. 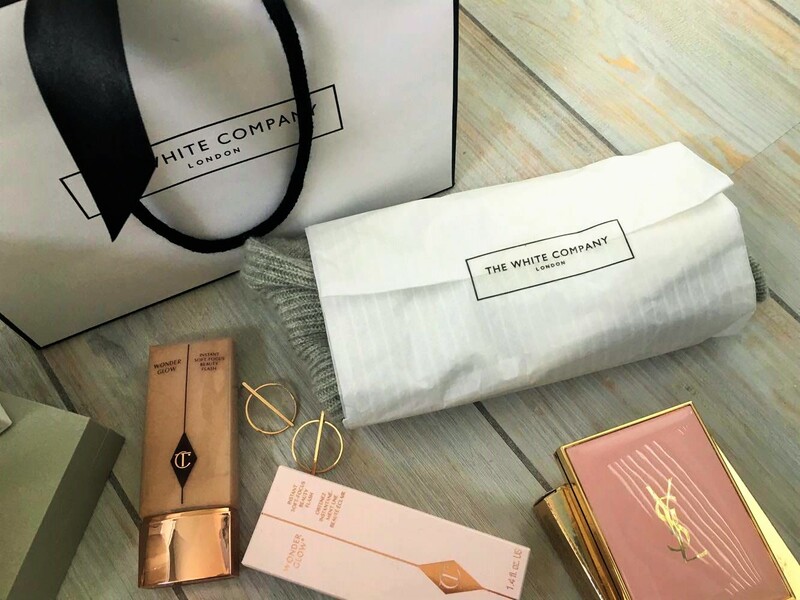 The compact is dreamy and the kind of item you'd want in your handbag all year round - if I'm honest I was drawn to this solely by the packaging. Silky-smooth skin and a perfect base for foundation. This pair of Accessorize earrings are replicas of the gorgeous Mango pair that I've been lusting over for ages now, but smaller and therefore more wearable day-to-day. I love wearing these to make a 'boring' outfit that bit more interesting and they make a welcome change from wearing the same pair everyday. I have been umm-ing and ahh-ing about writing this post as I do not want it to be perceived as bragging or anything of the sort, but I love reading other people's posts like this as they always give me such good gift ideas and I really wanted to share some of the beautiful things I received. I also just wanted an excuse to take photos of all these exceptionally photogenic items..